Petaling Jaya, 26 December 2018 – As year end is fast approaching, 7-Eleven Malaysia, the largest convenience store in the country, recently carried out a CSR activity in the spirit of Christmas with NGOhub Asia by setting up a hydroponic system at Trinity Children’s Home. Hydroponics is a method of planting in a water-based, nutrient rich solution. Trinity Children’s Home is a shelter home for orphaned and underprivileged children with single parents. Mary Moses, affectionately known to the children as ‘Chitti’, has been managing the home for the past 3 years, which was previously run by her sister and founder, Nancy. Started in 1999, the home has nurtured and seen more than 150 children grow up to be independent adults as the home functions not only as a shelter, but also provides education and trainings for the children to be self-sufficient for their future. 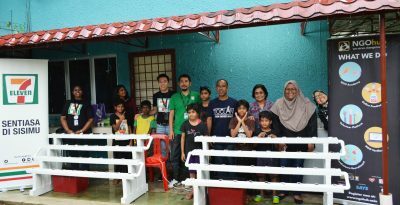 As part of the CSR initiative, volunteers from 7-Eleven Malaysia and NGOhub Asia worked hand in hand in setting up the hydroponic system with the children. Along with a hydroponic expert, they briefed the kids on the different steps and requirements to start planting using the hydroponic system. The children and volunteers got their hands dirty by seeding and potting the soil mix, excited at the prospect of reaping the harvest of their hydroponics in the months to come. A Christmas celebration would not be complete without presents. The children were all given presents and goodie bags before bidding farewell with the volunteers. 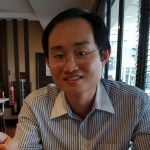 For more information, please log on to www.7eleven.com.my or follow 7ElevenMalaysia on Facebook. 7-Eleven Malaysia Presents Cool NEW Treats – Aiskleem and UniCornetto!